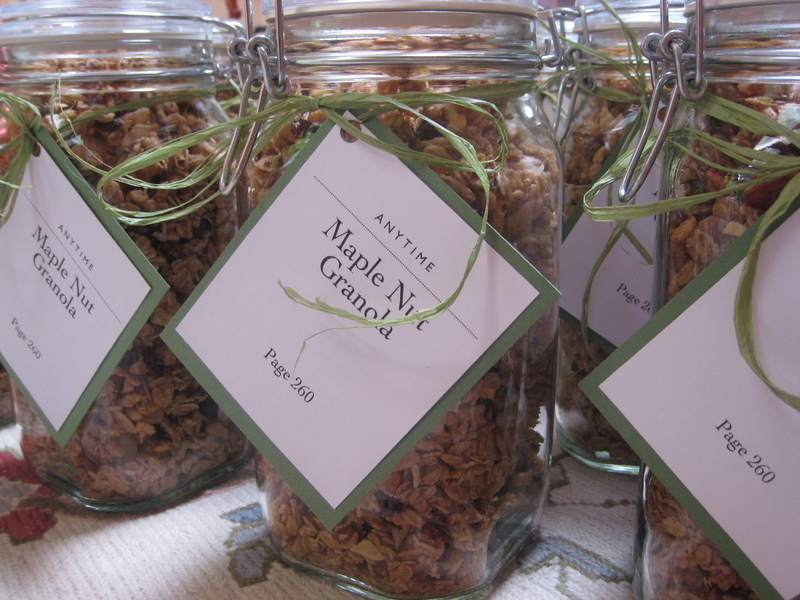 Homemade granola is my go-to gift of choice. I fill it with super-nutritionals like high-protein nuts and seeds, plus heart and brain-healthy virgin coconut oil. I packaged it in a mason jar, tie it with raffia and voila! It’s delicious on its own or with rice or almond milk, sprinkled over hot cereal or turned into a treat for the holidays by coating it with dark chocolate and breaking it into bark. 2In large bowl, mix together all dry ingredients. 3In separate bowl, whisk together melted oil, syrup and almond extract. Pour wet mixture over dry and stir to evenly coat all ingredients. 4Transfer mixture to two 9 x 12-inch glass casseroles and spread out evenly. Bake 60 minutes or until golden. 5Turn off oven, but do not remove granola until completely cooled and set. Remove from oven and use spatula to release granola and break into chunks.